Learn how marketers increase their profits while skyrocketing conversions and engaging the customer base with webinar marketing made easy video series. 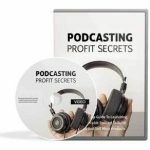 Over 60% of marketers are using webinars to increase their profits. Drastically increase conversions and sales. Dreaming to be successful is your right, and I don’t have a problem with it. But the only thing that keeps me worried is that do you have a complete roadmap that enables you to achieve your professional objectives with ease. Are you aware of tools and techniques required to host a successful webinar? Do you know the countless growth prospects that Webinars provide? Be honest! Are you achieving your desired goals? Probably your answer might be NO! Correct? YES, WEBINARS ALLOW YOU TO PROMOTE YOUR BUSINESS AND SPREAD VITAL INFORMATION TO CONVERT LEADS INTO BRAND LOYALISTS. But, in real business, getting success is not as easy as it looks! What you need is a step by step guidance that states tested and proven techniques for holding a successful Webinar, and enables you to use them properly for achieving your objectives. Don’t worry, this issue will not become a barrier between you and your business growth. We will provide you a simple, precise and information packed guide that will assist you to showcase your products and services easily and get long-term benefits for your business. If you have a well-designed Webinar Marketing campaign, you will have an easy way to connect with a globally scattered consumer base. You can also ensure real-time feedback and interaction with your customers and make them feel connected in the long run. And, most importantly, you can qualify prospects and move the right customers to the next stage of the sales process. Surely, you must be dying of curiosity in order to succeed with the best use of Webinar Marketing for your business. So, to relieve all your tension, we present the much awaited ladder to your success…. Introducing: Webinar Marketing Made Easy HD Video Training! In Video #1 Which is the Introduction video, you will get a detailed explanation of what will be included in the complete training so that you can have a clear vision of what to expect from it. In Video #2 You will learn what a Webinar is all about. We will cover topics like: what is it, where does it come from, how can your offline business benefit from it, how can you benefit from it as an Independent Professional, and how can you make money with it as an online marketer. In Video #3 You will learn why you should definitely use Webinars for your Business today. You will learn about some of its amazing benefits, as well as several shocking facts that will make you decide to start getting into it right away. In Video #4 You will learn the Top Webinar Marketing Tools & Services that you can use for your business. These are several tools dedicated to giving you highly useful services for Webinar Marketing, so you can get best results from it. In Video #5 through #11 You will learn how you can get the most out of Webinars, Step by Step. There are 7 videos dedicated to show you, live, how to use every single tool and service you need, so you can start getting positive results starting today. In Video #12 You will learn the 10 do’s you have to apply for Successful Webinars. These are specific things you should remember or practice, so you can succeed. In Video #13 You will learn the 10 don’ts you have to avoid for hosting Successful Webinars. If you ignore these, be prepared to be disappointed. In Video #14 You will learn Advanced Webinar Marketing Strategies. 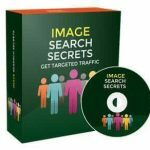 These strategies have been applied by experienced marketers to obtain awesome results. Apply them yourself and watch how it skyrockets your business success. In Video #15 You will get the chance to look at several Shocking Webinar Marketing Case Studies. These are actual examples we have taken from the internet to show you how Webinars actually worked for other businesses, so you can have complete confidence in your ability to achieve your own business success story. This unique and easy to understand Training Guide will supply you the most accurate information needed to get best results for your business by using Webinar Marketing. You will also be able to conduct market research by gathering valuable feedback from webinar attendees. Chapter I: What is Webinar all about? Chapter II: Why you should definitely use Webinar for your business today? Chapter III: Top Webinar Marketing Tools and Services. Chapter IV: How your business can get the most out of Webinars, Step by Step? Chapter V: 10 do’s you have to apply for Successful Webinars. Chapter VI: 10 don’ts you have to avoid for Successful Webinars. Chapter VII: Advanced Webinar Marketing Strategies. Chapter VIII: Shocking Webinar Marketing Case Studies. It breaks up the whole training into easy-to-follow steps, so that you can make sure you have every single piece of advice taught in the training at your fingertips. This helps you track your progress and will help you attain your goals easily. This is a really cool mind map outlining the complete training. It gives you an overview of every step you need to apply. It can also be printed out for using it effectively. Here you will have access to a complete niche research report regarding Webinar Marketing potential: Videos, Tools, Training courses, Forums, Affiliate programs, Demographics, Webinars, InfoGraphics, Facts, and Case studies. All the efforts for boosting your customer base with the best use of Webinars has already been taken care of by us. You just need to apply these proven strategies, and get your business way above your competitors. Using Webinars to interact with many attendees at the same time does not need application of any HI-TECH Formula. All you need is to apply our SIMPLE & PROVEN techniques, and let your profits reach the peak. If you skip over this offer, you’ll stay right where you are now. You can reach a MUCH higher success level with the proven systems I’m about to hand over to you. Let me help you to achieve best results by using Webinars right now. Take action ASAP to become the ultimate success story. 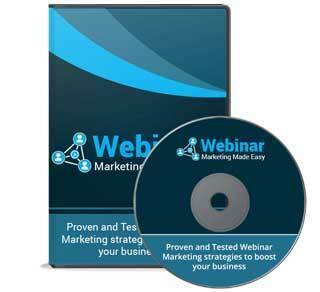 DOWNLOAD OUR “Webinar Marketing Made Easy” TRAINING GUIDE TODAY!